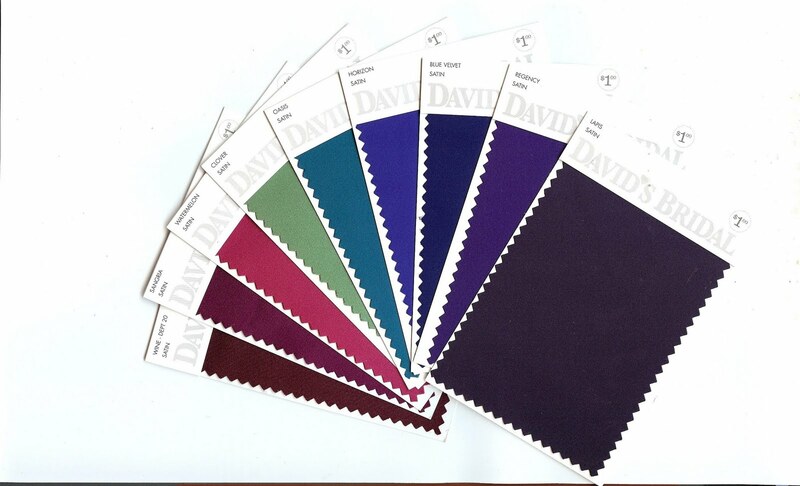 >I got my hands on what I consider to be the HOTTEST and most popular colors for David’s Bridal. See what combinations you can come up with! In order from left to right: Wine, Sangria, Watermelon, Clover, Oasis, Horizon, Blue Velvet, Regency, and Lapis.